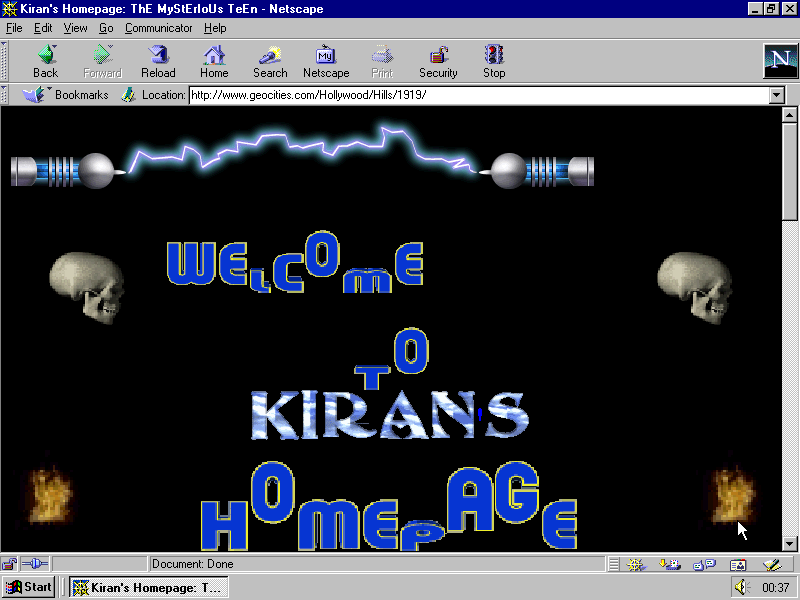 There is a bunch of Geocities websites that were last updated in the second half of 1998. It is very likely that they were created the same day they were abandoned. 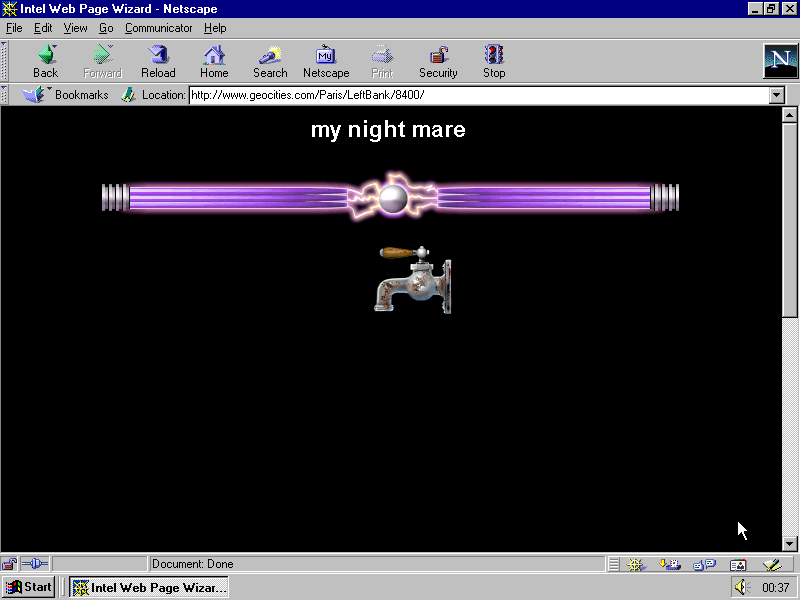 The websites are empty, look very similar, appear one after another on the One Terabyte of Kilobyte Age Tumblr, don’t evoke any memories … a real nightmare. 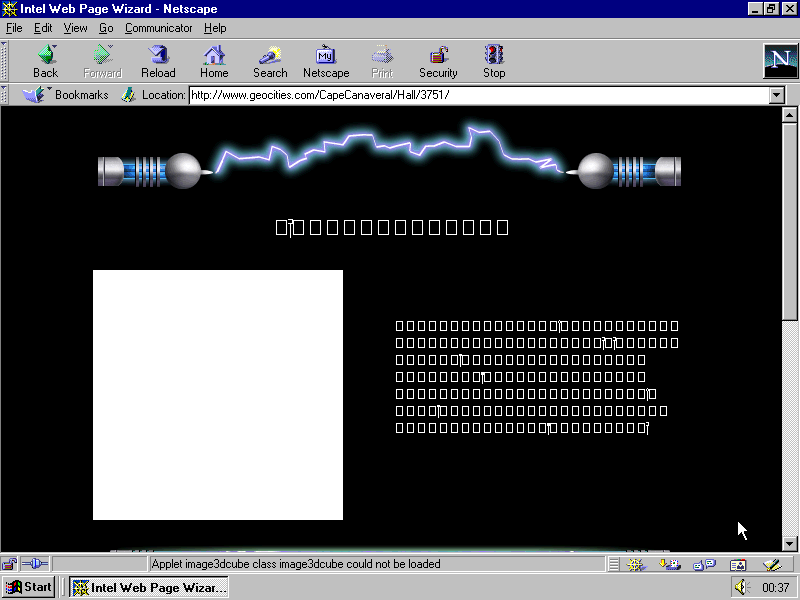 Most images are broken, but the context is clear now: in 1998 Intel was trying out a web page builder, or a Web Page Wizard. 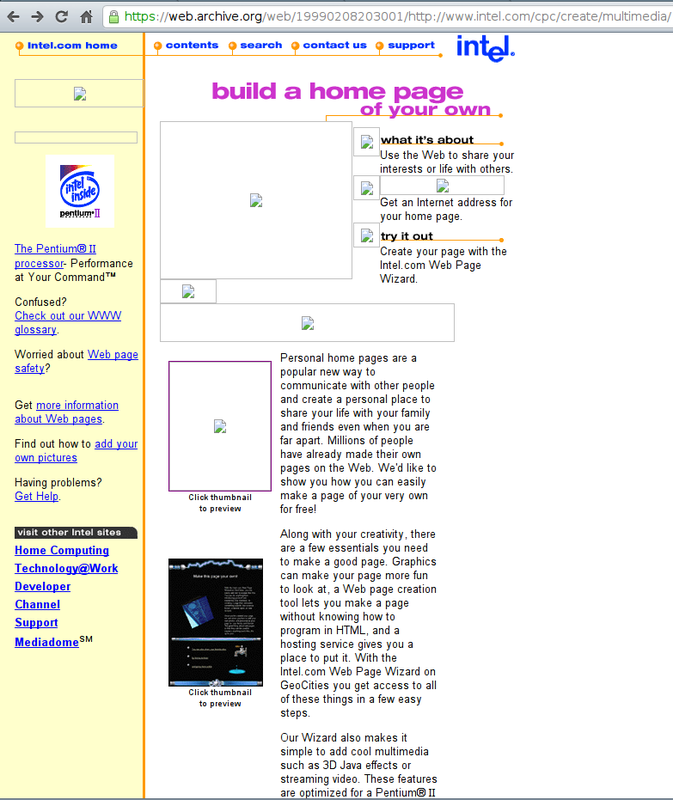 There’s nothing to download to start using the Intel.com Web Page Wizard, so get started now, and create a your own home on the Web! 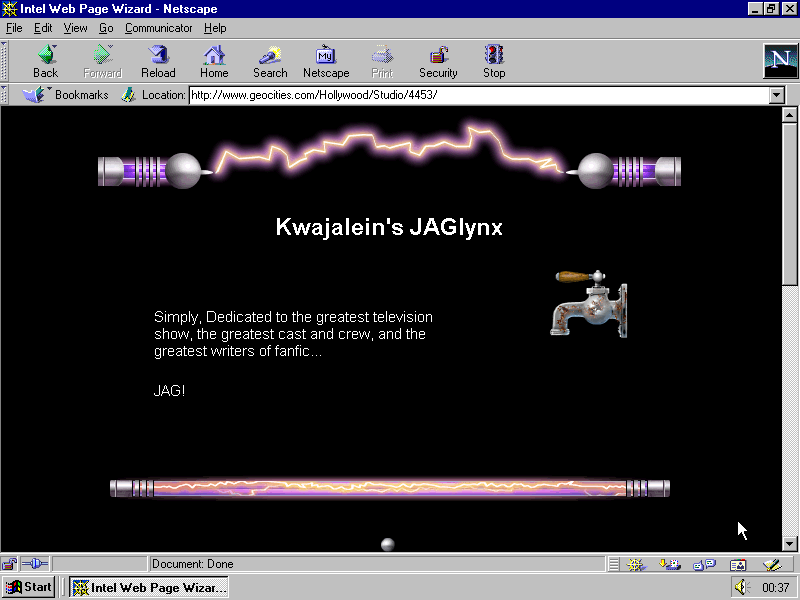 The Intel.com Web Page Wizard was last updated in 1999, the year Geocities was already bought by Yahoo!, which introduced its own builder; the year time of page wizards was over outside of free hosting services anyway. The bars and the faucet leaking Pentium Juice made quite a career online, not as part of the template, but on their own. They appear in free collections. 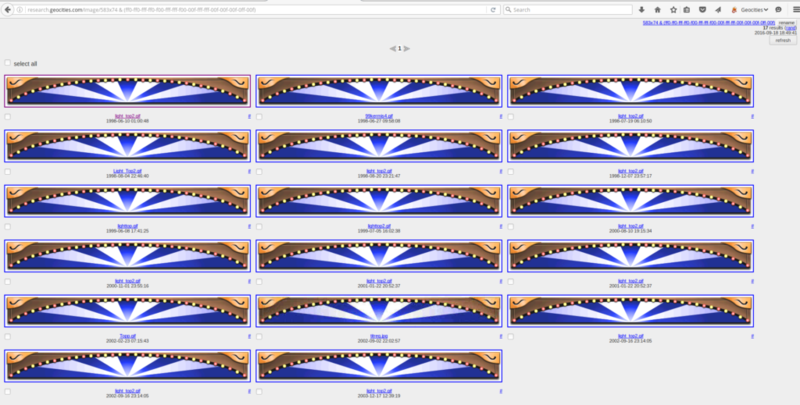 They appear on pages outside of geocities. 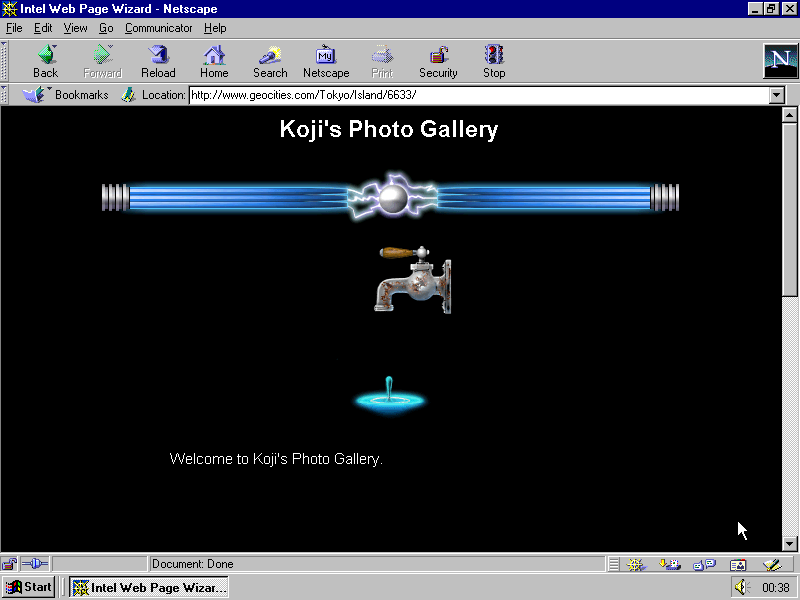 Other unique animations on this site suggest that Seth K. Deitch is the author of the animated versions. as a template of the pre-template era. More of a sample page than a template, scaffold code that users had to edit. And it is scary as death. It appears that they also had a “light colored” template. Indeed. But not so frequently used.